The church at East Peckham dedicated to St. Michael now stands isolated on a hill above the old settlement. It became redundant with the onset of industry on the river Medway where a new settlement was created. The church is now in the care of the Church Conservation Trust and is open to the public during most days. The church was used by the neighbouring Royden Hall and local community and therefore many of the monuments and burials are connected with these buildings. To investigate reports of paranormal activity at this venue and evidence for other activities in the neighbourhood. 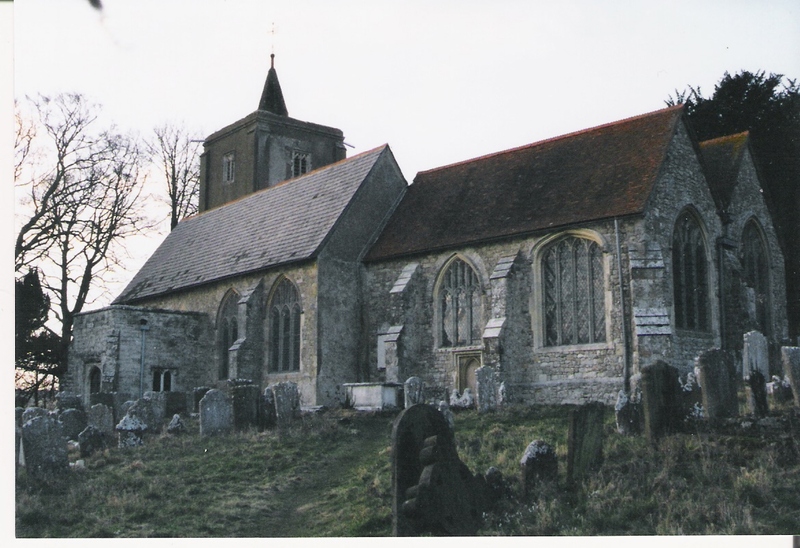 The area surrounding the church is subject to various tales of hauntings and occult activity. Park Road (behind the church) has an old tree on a junction reputed to have been a hanging tree which saw the lynching of local highwayman Jack Diamond. There is an established account of a severed pigs head being found some years ago attached to the church lychgate. The woods in the vicinity of the church a rumored to be used for occult activities. There is a burial in the churchyard which belongs to a local game keeper, James Grey, shot by poachers in 1862. Using visual and scientific methods combined with spiritual information investigate the background to reported activity at this venue. The team arrived at the site and first conducted a walk around the churchyard from the North East corner of the churchyard in a clockwise direction following the path around the church. Various photographs were taken and audio recordings made during this walk around. It was noted that the north side of the church was subject to a breeze blowing from a roughly westerly direction which was causing some leaf movement on the ground. The team then chose to walk down Park Road to examine the nearby 'hanging tree' for any evidence that there was any likely use of it for this purpose. The tree is unmaintained with a number of broken branches. The usual use of these trees necessitated horizontal branch which would be fairly low in order to accommodate the rope. These branches usually have some scoring through the bark on the top surface through repeated use. It is not known whether this tree was repeatedly used or even used at all for this purpose. There is no known substantiated evidence for the hanging of Jack Diamond at this site. Some time was spent studying the tree although signs of 'Private property' hampered any attempts to get near to the tree itself although it stands a few feet from the road. There was insufficient space to conduct any experiments at this site due to the road. Further investigation may be conducted in the future here. The Team then return to the North side of the churchyard and conducted a séance under the yew tree which was recorded by voice recorder and video camera. The information given is unsubstantiated and currently being researched although the team did experience a feeling of persons being close by particularly Ian. A number of noises were heard and senses of movement. Outdoor locations are notoriously difficult to investigate in regard to noises heard which could be potentially natural ( leaves,branches,etc.) either created by animal movement or the wind. 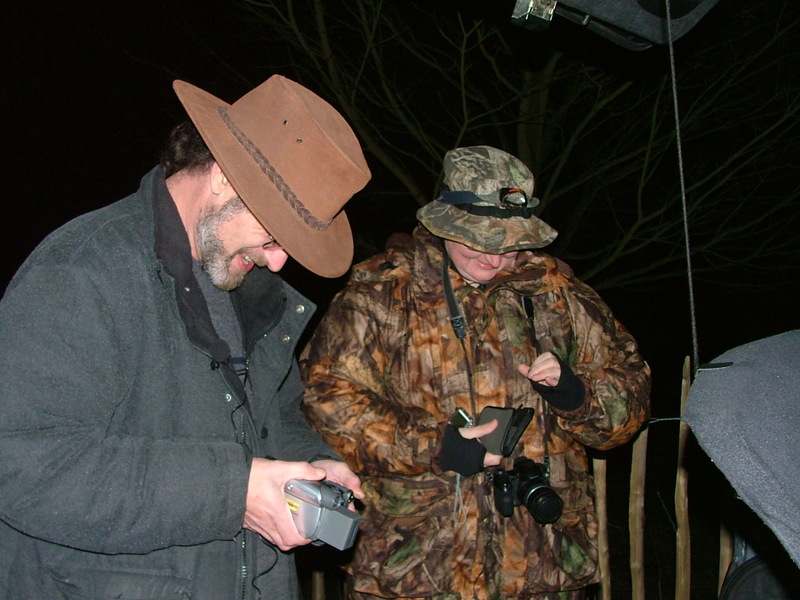 Animal movement cannot be discounted in this instance for a number of noises heard as they emanated from areas which were not illuminated or visible to the team. Sightings of movement cannot be easily explained as purely paranormal as attention is easily deflected in outdoor situations. The teams walkabout produced no recordable anomalies and no circumstances worthy of comment although account was taken during this time of the prevailing weather conditions. The visit to 'Jack Diamond's' tree found no evidence of its continued use as a hanging tree. Also during the séance the voice recorder picked up what sounds like a choir singing a particular Christmas carol. There was no audible or visual phenomena recorded on video however the team did sense several instances of persons being nearby. As previously commented the time of year did not assist in the ascertion of this being anything other than naturally created phenomena when alluded to as noises. Instances of figures being seen are less easily explained although may be due to natural phenomena heightened by the venue. What currently cannot be explained is the presence of EVP recorded during the séance which took place outside of the north side of the chancel. The chancel would have been, and still is, that part of the church used by the choir. The apparent recording of a choir singing during the séance at this location may or may not be coincidental. Jack Diamonds tree may warrant further research and physical analysis. The woods and alleged occult activities are subject to further research along with research into land ownership of the woods. Any further investigation into the allegations of these activities will be reported on. Please note that the precise location of these woods has not been included out of respect for the landowner and any users of these woods. Ghostconnections does not advocate the trespassing onto private property to investigate any claims of paranormal phenomena or religious activities.